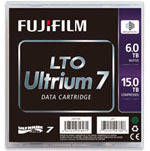 Fujifilm announced that the University of Auckland is using Fujifilm LTO Ultrium Data Cartridges for its tape storage needs, which amount to hundreds, if not thousands, of tapes each year. Even in the digital age, tape remains the most cost-effective and reliable format for long-term storage. Containing a data explosion Universities around the world are experiencing a data explosion. Among the many drivers of this trend are the rapid growth of video as a teaching tool; the mounting reliance on big data and data analytics for research; and the uplift in the use of information and communications technology (ICT) by staff and students alike. With this upsurge comes an increasing demand for storage. The University of Auckland is no exception. "Our storage needs are rising exponentially, which raises a host of challenges. Most importantly, we have to look constantly for cost efficiencies and solutions that don't sacrifice service delivery to staff and students or the strategic goals of the organization." Tape is the cheapest media per gigabyte of data stored, providing cost-effectiveness to the university, even as storage demand grows. "This is a key driver for us and a chief reason why we use tape. This media provides many other important benefits though, such as high capacity, dependability, performance and portability. All of this makes it a compelling solution for backup compared with the alternatives." Overall, there are currently 15PB stored on the cartridges at the university. On an average night, 27TB of change data are backed up onto them. The university has two data centres, the capacities of which are expanding with demand. Each data centre has two tape libraries to ensure stability, security and ready access to data. The team only need to get involved in data recovery if special requests are made. 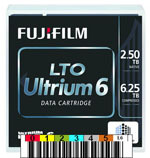 Once a tape is full, it is kept in the library as long as possible so that users can access the data. 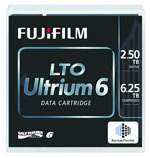 In addition, Fujifilm tapes are top quality and deliver the best value in the market. The team are always looking for ways to save space and money and keep data protected, while remaining responsive to users. Tape looks set to carry on playing an important role. For example, a big project underway is the progressive backup of archival loads onto tape for efficient, stable and secure long-term storage. 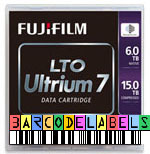 Conact your BackupWorks.com Account Rep at 866 801 2944 to find out more about LTO-7 Tape Backup and FujiFilm LTO tape media.